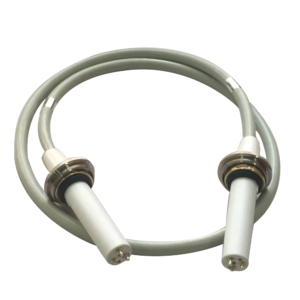 Home › Blog › What kind of high voltage cables are mainly used on U-arm? 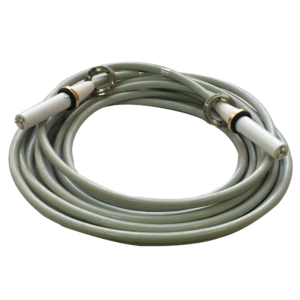 What kind of high voltage cables are mainly used on U-arm? High voltage cable is mainly used to connect X-ray tube and high voltage generator. An X-ray machine needs two high voltage cables to connect two input ports of spherical tube. Newheek’s 75 kV high voltage cable is mainly used in 125 kV X-ray machine. 90 kV high voltage cable is mainly used in 150 kV X-ray machine. Newheek’s U-arm mainly uses 75 kV 8 m high voltage cable. Before delivery, we will dismantle the machine and pack the cables. The high voltage cables will be dismantled and packed. The customers need to install the cables according to the instructions. When consulting high-voltage cables, some customers always say that they need 125 kV or 150 kV high-voltage cables. This is actually only for consulting a 125 kV or 150 kV X-ray machine. Our high-voltage cable can also be installed with straight or elbow according to customer’s requirements. For line length, our standard specifications are 3m, 6m, 8m, 10m, etc. This can also be customized according to customer requirements. If you are interested in our high voltage cable, please feel free to contact us. How much do you know about x ray high voltage cable?